Recently I had an opportunity to work on an Angular application, where I needed to integrate FileStack and I have gone through a few Stack overflow posts (https://stackoverflow.com/questions/43459805/filestack-with-angular-2) regarding FileStack and decided to write and FileStack Component in Angular. 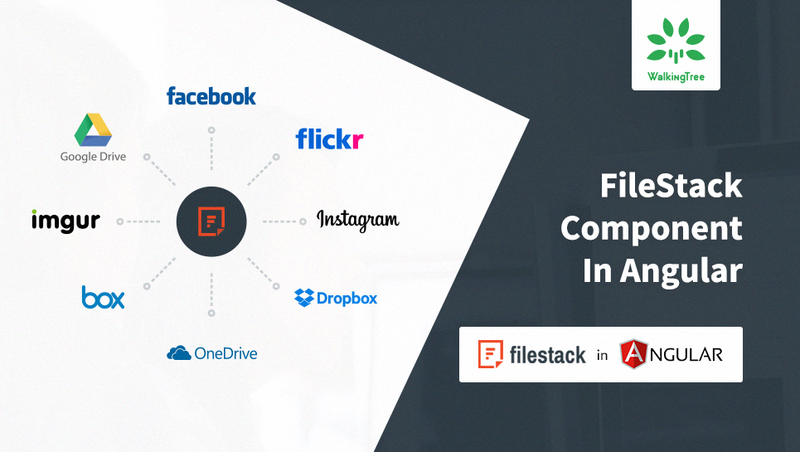 FileStack is a powerful service for uploading the file to a website or mobile app. 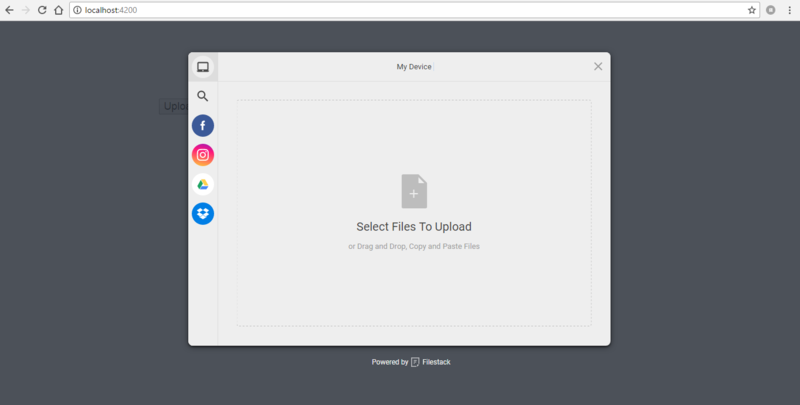 It enables us to upload and store large files, transform and manipulate images and other file types, and deliver that content with festinant speed, responsively, across all types of desktop or mobile devices. It also allows integrating more than 25 of the world’s leading cloud drives. There is a guideline under file stack doc “How can I integrate FileStack into my AngularJS application?” to integrate FileStack in AngularJS application. Angular Component combines the AngularJS Directive, Controller, and Scope. In this article, we will learn how to create/use the FileStack component in Angular. Step 1: Installing Node JS. Step 2: Installing Angular CLI. Let’s create litterals to define the input format accepted by FileStack Component. Step 1: Create providers folder under src folder. Step 2: Create litterals folder under providers folder. Step 3: Create app-litterals.ts file under litterals folder and add the following code. Let’s create service and define FileStack configuration with getter and setter methods. Step 1: Create services folder under providers folder. I have added @Input (data-accept) to accept the file format to be supported by FileStack and @Output to emit output once file upload is completed. onFileStackFieldClick method is to initialize the FileStack on click on FileStack element. ngOnDestroy to destroy the FileStack in case we are using multiple instances of file stack. Modify app.module.ts to import the Component and Service. Step 1: Import AppConfigService and FileStackComponent. Step 2: Add Component in declarations. Step 3: Add Service to providers. Let’s use FileStack Component in app component. In the above code, I have used FileStack Component (<file-stack>) with data-accept as “input” and complete as “output”. data-accept value is getting from AppLitteralsConfig and the complete event is being handled at AppComponent. In the above code, I have handled FileStack output (complete) event and pushing record in an array to bind at html. To store files in Cloud Drives we need to pass could configuration/credentials to FileStack at the time of initialization using storeTo. Let’s add s3 cloud configuration to file stack and files will get stored at s3 cloud drive. Step 1 : Open FileStack component and add the following code to get the s3 configuration from AppConfigService. Step 2 : Add s3 configuration in storeTo. How to get the demo app? You can download ng-filestack demo application source code from GitHub. In this article, we have learned and created FileStack component in Angular with Cloud Drives integration. At WalkingTree we are excited about the possibilities that Angular brings in for the new age applications. Hope this article will save a good amount of time for you when you come across this kind of need. If you want your thoughts or proof of concepts around Angular or any technology to be validated by the industry experts? We will be excited to guide you! How can I integrate FileStack into my AngularJS application?